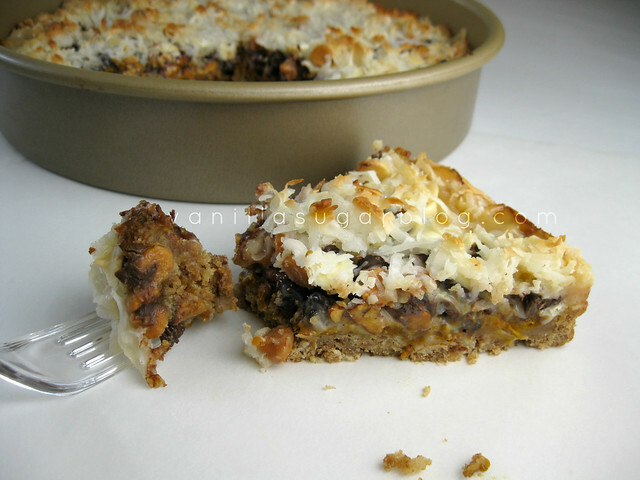 Those infamous 7 layer bars now made with pumpkin. Have I lost my mind? No, just really into the pumpkin cooking spirit. That buttery graham crust layer was just yearning for a nice layer of pumpkin. 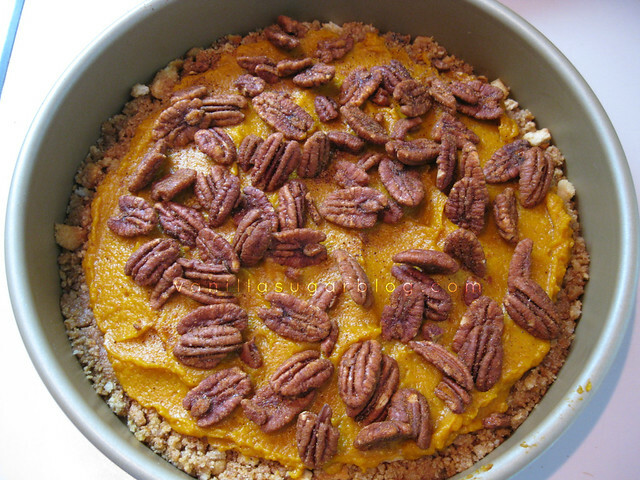 The pumpkin layer is very gentle in flavor, and adds a nice savory touch. I went easy on the pumpkin spice flavoring, as I'm not a big fan of it. I do like extra cinnamon in my pumpkin. Made this in a 9 or 10 inch cake pan (just for something different). It should work in a 9x13 pan, might be "just enough" or "slightly short" on ingredients--I don't know I haven't done this in a 9x13 pan yet. Seriously? These were insanely good. 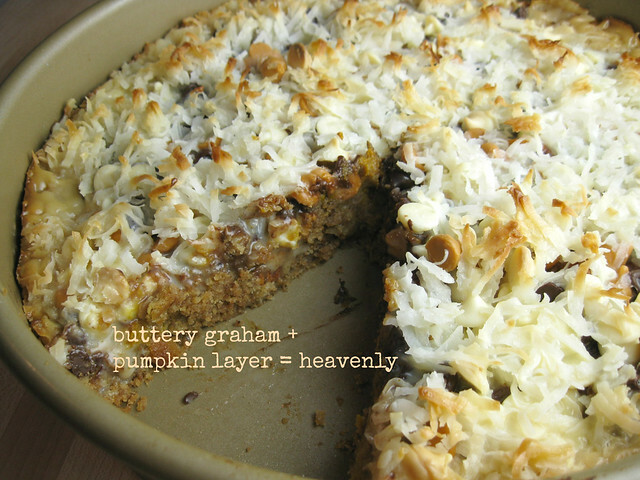 The butterscotch with the pumpkin with the buttery graham cracker crust? Oh heavenly food combo. Heavily spray with nonstick or line a 9 or 10-inch cake pan with parchment paper or aluminum foil. If using parchment or aluminum make sure to spray that too with nonstick cooking spray. 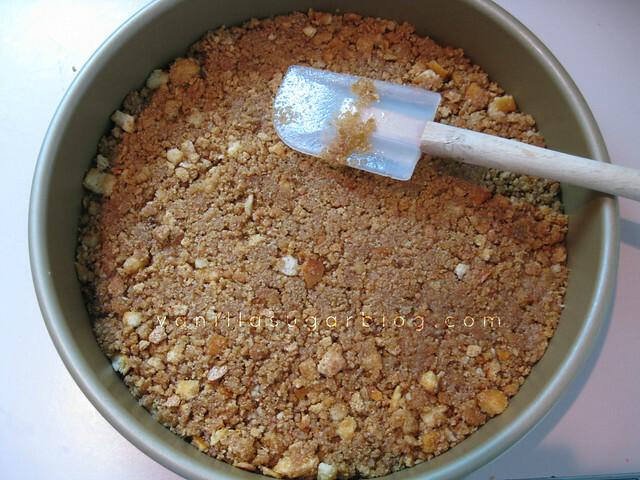 Melt the butter over medium heat; add in the graham crumbs, and mix well. Using your fingers or a spatula spread crumbs into pan, making sure to get all the edges. 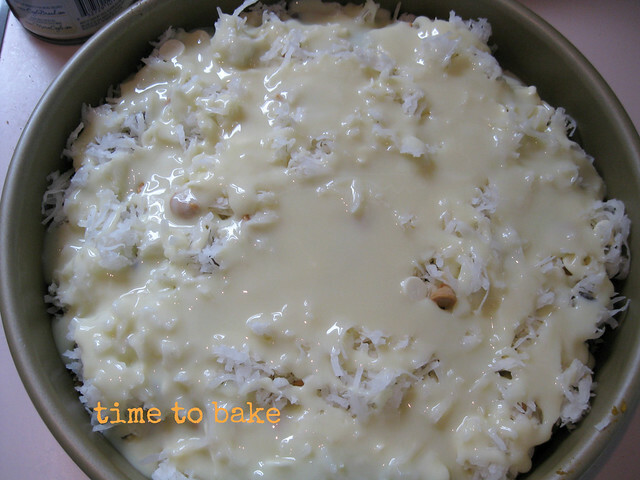 If you want to prebake this for 10 minutes to help it get crisp then go ahead. I did not. 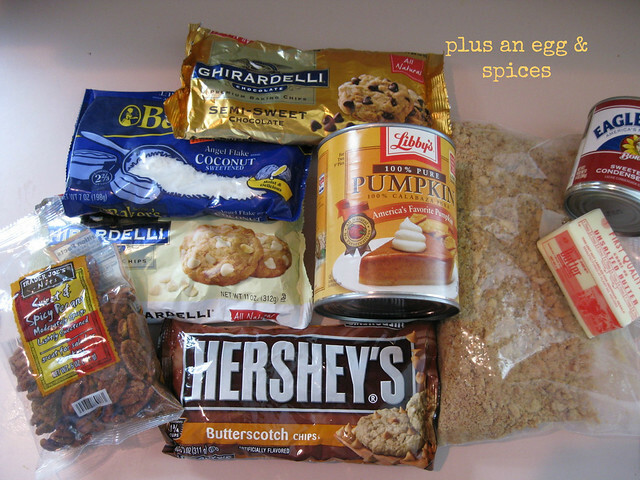 In a small bowl mix the pumpkin puree with the egg; add in the vanilla extract and as much spice as you want. I did about 4 shakes of cinnamon and 2 shakes of pumpkin spice. Then place a layer of the pumpkin mixture on top of the graham. 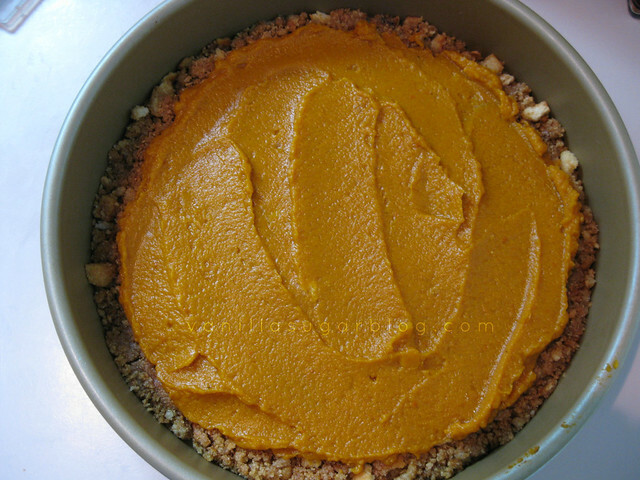 Do not spread the pumpkin mixture to the edges (see photo)—you don’t want it to seep out. 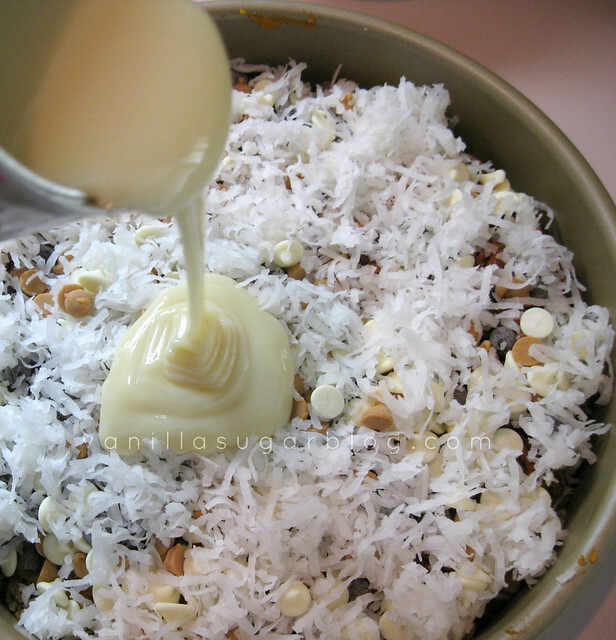 Then add the layer of pecans, chocolate chips, white chocolate chips, butterscotch chips, and toasted coconut. Next pour the condensed milk evenly over the entire dish. Bake until the top is golden brown and mixture is set in the middle (no jiggly), about 25-28 minutes. Cool on a wire rack for a couple hours. I then put mine in the fridge to help it firm up to make the slicing much easier. Remove the bars from the pan. Then using a very sharp knife, cut into bars in small pie slices. If the slicing is sticky, it helps to wet the knife with warm water. It’s best to store this in the fridge. Keeps about 2 days then it gets soggy. I love the flavor of butterscotch, but find that the bagged versions available (Hershey's and Nestle's) both have a fake, chemical flavor to them. I see you use the Hershey's... have they improved the flavor, or does it just get lost in the mixture, or does it not bother you, or ??? Bee-yoo-tee-ful! They look so damn good, Dawn. so funny that you and I were on the same wavelength. I just took mine out of the oven and they're cooling. Can't wait to taste. Love the pumpkin in these! Oh you made the exact same thing? ohmygosh! 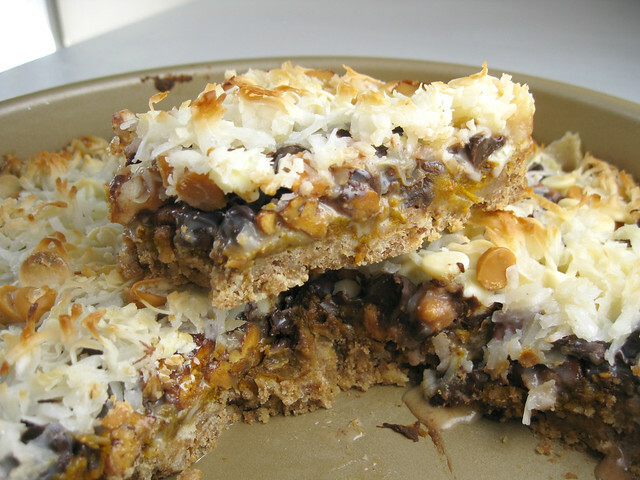 Pumpkin is the perfect addition to these bars! Makes them SO fall like. Love love! Genius girl! 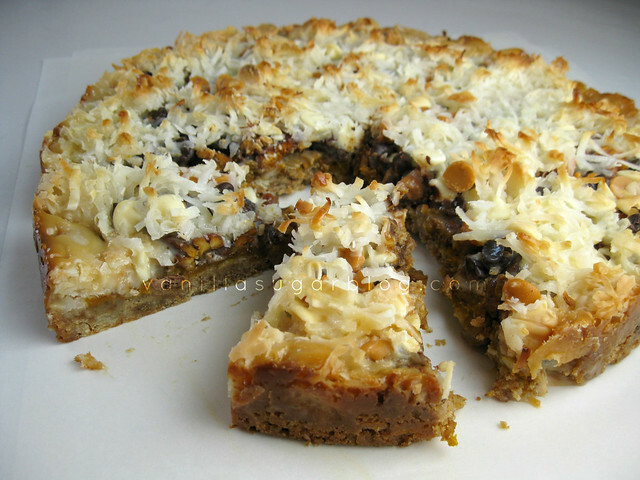 Omg i LOVE seven layer bars! Another friend just posted some today - with apples. I love that you used pumpkin. And made it in a cake pan AND that thick layer of graham cracker crust is just scrumptious looking! 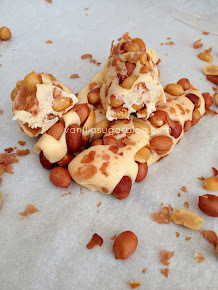 This bar and it's various variations is one of my faves!! You, my dear, had nothing to worry about because these are dreamy!!! I think I need to be pinched...because these just CAN'T be for real! I can't even. 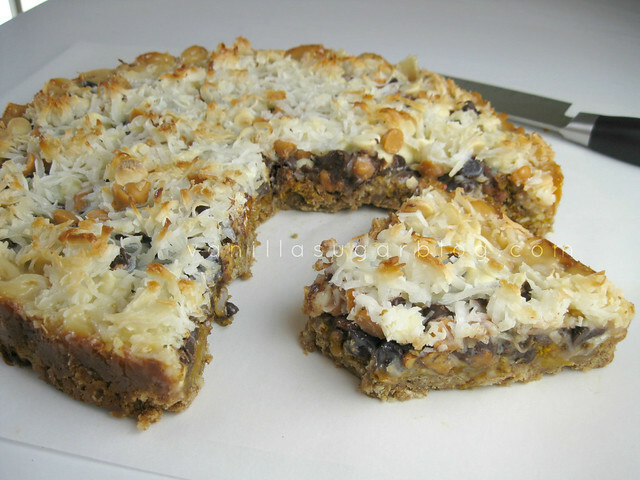 Seven layer bars. With pumpkin? I think I'm in love. They look great! Haha, you and pumpkin this year...hope you're staying warm, friend. 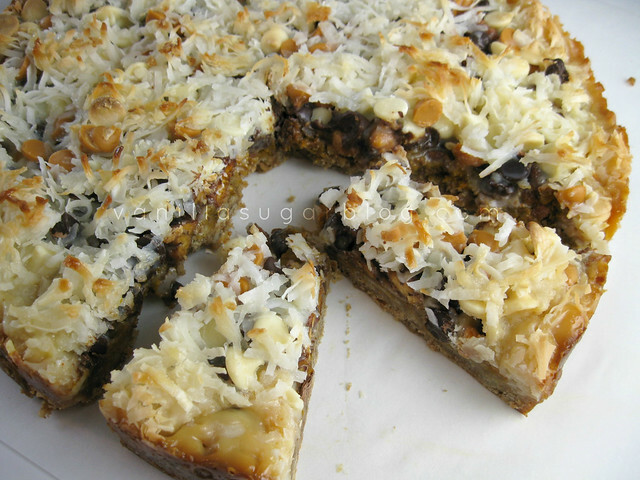 I just read a recipe for seven layer bars with apple this morning (Sally from Sally's Baking Addiction) and I told her that pumpkin would be a great idea -- then I see this -- too crazy! 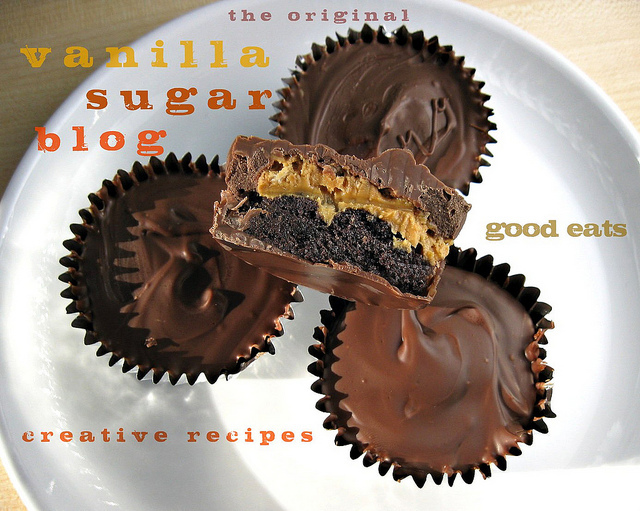 These look AMAZING and I'm pretty sure my family would devour them! Everything's better with pumpkin isn't it? Those look SO good, Dawn. I must give them a try/taste. Those look so decadently good! What a fantastic variation, can't wait to try this. oh yes!! i was a little weary of the apple ones as i was making them, but even with 9 layers they were pretty killer :) these might just be next! 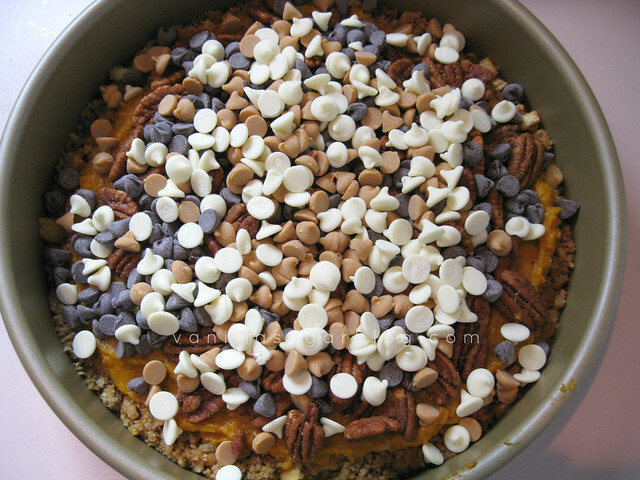 What a lovely & fantastic 7 layered yummi pumpkin & chocolate chips, etc cake! Every layer looks just amazing & truly appetizing too! WAW, Dawn! :) Beautiful & apart! Those bars look intense! I'm not a big fan of pumpkin pie flavouring either but love cinnamon. Wow...this is a luxurious dessert.! 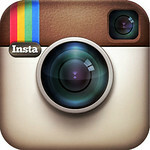 Simply love it. 7 layers!.....looks challenging to me. Hope I will take up the challenge one day. Thanks very much for sharing. I have printed out the recipe. Hope you have a great weekend.